Published on March 24, 2018 March 23, 2018 by Rachelle J.
I will be repeating this process until I’ve filtered out my entire TBR. My TBR has gone up, again, to 724 books thanks to my fave book blogs providing amazing reviews and recommendations. So You Want to Be a Wizard by Diane Duane – KEEP. I loved Duane’s The Book of Night with Moon and I already own this one. 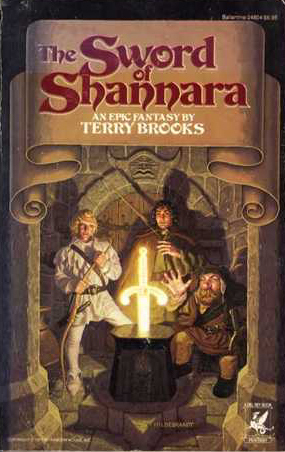 The Sword of Shannara by Terry Brooks – KEEP. If I’m ever going to get around to watching the TV adaptation, I need to read this classic Fantasy first. The Year of Shadows by Claire Legrand – KEEP. Gothic Middle Grade Fantasy? Yes, please and thank you! The Last Dragonslayer by Jasper Fforde – KEEP. I don’t remember why I initially added this one to my wish list, but I wouldn’t doubt it had something to do with the VW Bug on what is obviously part of a dragon. How could this not be an awesome story with that cover?! The synopsis backs up my theory, too, so I’m keeping this one on my wish list. 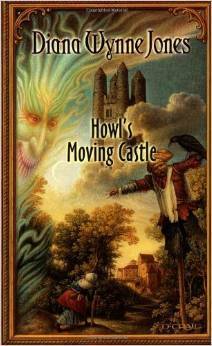 Howl’s Moving Castle by Diana Wynne Jones – KEEP. Why have I not read this yet?! I have it on my “Readathon Maybes” list, so I’m going to move it to the top of the stack for the 24-Hour Readathon in April. My to-read shelf is stuck at 724 books. See you next Saturday when I start with book #131. Amazing idea to trim down your tbr lists this Spring.